The cultural center of Brazil , it’s one of the institutions with great national exposure. It brings together the public to new movements in art and hosts traveling exhibitions, a hard task for other museums or exhibitions of the subcontinent country. This year, it surprises the flagship cities: Belo Horizonte, Rio de Janeiro, Sao Paulo and Brasilia –where its four venues are- with a dedicated exhibit to contemporary art with the theme of African roots, which has transformed the world by means of migrating brought by Europeans, and with time, has left a mark in the identity of several countries, such as the United States, the Antilles, Colombia, Peru and Ecuador, just to name a few. All this migrating hybridization process took place in a region who unites 3 continents with the ocean and known as Black Atlantic. Ex África, It’s the title chosen for this exhibit, in reference to a quote of Pliny the elder who translates “there’s always news coming from Africa”. It began in Belo Horizonte the 11th of October, 2017, just passed by Rio de Janeiro; it will continue to Sao Paulo, who is inaugurating the 28th of April to the 16th of July and will end its journey in the known capital of hope, Brasilia, from the 7th of August to the 21st of October, 2018.. The selection was made by the German curator Alfons Hug, who has more than 30 years of experience with more than 30 years studying African traditions. His work as a director in different houses of the Goethe Institute, in cities such as Caracas (Venezuela), Medellin (Colombia), Brasilia (Brazil) and Lagos (Nigeria), and his passion for art –as a critic and as a curator- allowed him to do a unique recompilation that brings together artists from Africa and America, working on the theme of afro identity breaking conventional barriers such as marginalization, Folklore, animals, and diseases. This exhibition is relevant today in the Brazilian context since articulates a series of discoveries and prominence that have been developed for some years around the African heir in Brazil. A clear example are the diggings of the cemetery Pretos Novos, operating in between 1769 and 1830, and was housing a memorial in 1996 where are promoted investigations about African ancestry for 22 years. Also, the case of the slave pier of Cais do Valongo, the most important slave market of South America, restructured for the Soccer World Championship of 2014, where the Museo del Mañana (Tomorrow’s Museum) was built and generated a series of discussions which still haven’t reached its conclusion. In addition to research institutes and preservation of African memory, such as the Afrodigital Museum, in the Universidad Estatal de Rio de Janeiro or the Coordinación de Asuntos de la Población Negra, in Sao Paulo, are some of the models today which are the voice of millions of inhabitants who want to recover that aspect so characteristic of national identity. For reference, the curatorial team researched the representative samples: Afriken Kunst, made in 2003 in the Ethnological Museum of Berlin and then brought to Brazil, displaying different and current languages of African art. Other representative exhibitions mentioned in the research are Les Magiciens de la Terre (1989), made in Pompidou; El mañana ya estuvo aquí (2012), in the Tamayo Museum; The Shadows Took Form(2013), of the Studio Museum in Harlem, among others. 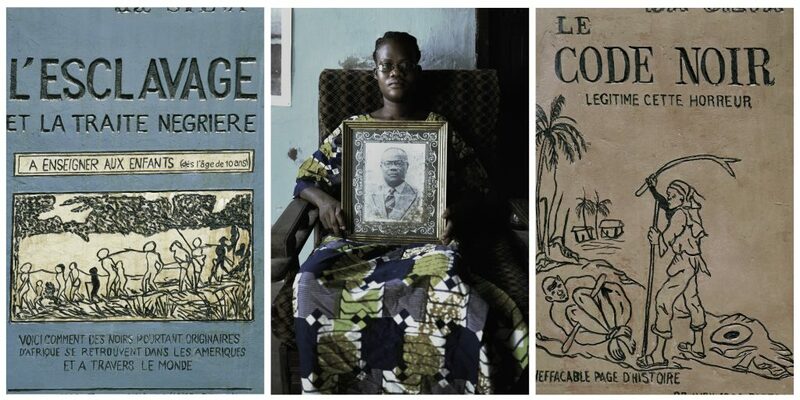 To avoid a documentary style usually displayed by African exhibitions, displaying what already happened and often happens with ethnographic or historical retrospectives, it has swung into the current times. The exhibition is focused on artistic reflections made recently and has raised questions about the role of migration, colonies, identity, ethnic diversity or historical importance of situations still relevant today. Also, the idea of Hug was complemented by the collaboration of Adé Buntú, Nigerian producer, and musician, in charge of helping to select a variety of music of the continent for one of the curatorial nodes. Besides pieces made for the exhibition, more were sent from different places of Africa and Europe, for a total of 18 artists who gathered 80 pieces, representing a part of the diverse cosmos displayed by African tradition and making a constant statement against the collective imagination. 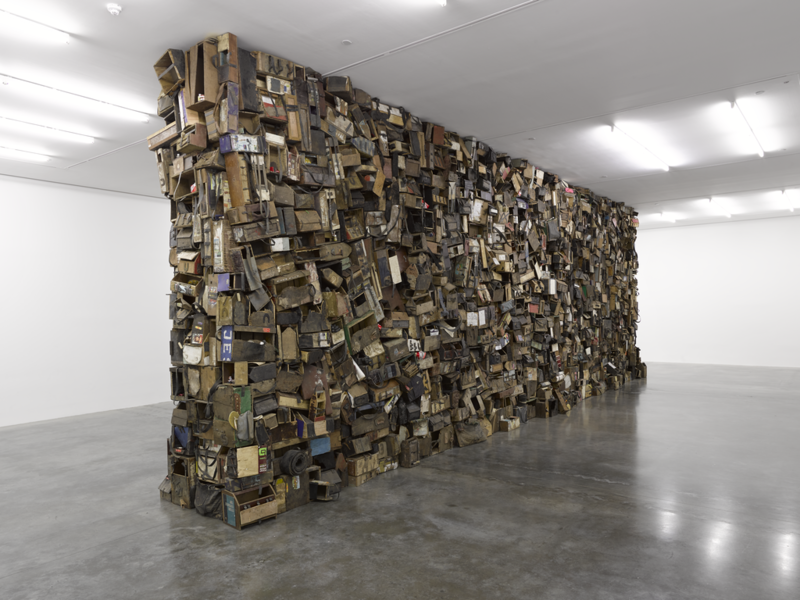 In the first node, named Echoes of History, states a “bitter reflection about poverty, unemployment, the recent migrations and related aspects with the times of slave ships. They don’t cease to remember the impositions of a western cultural religion and a colonial heir”, just as described in the catalog. 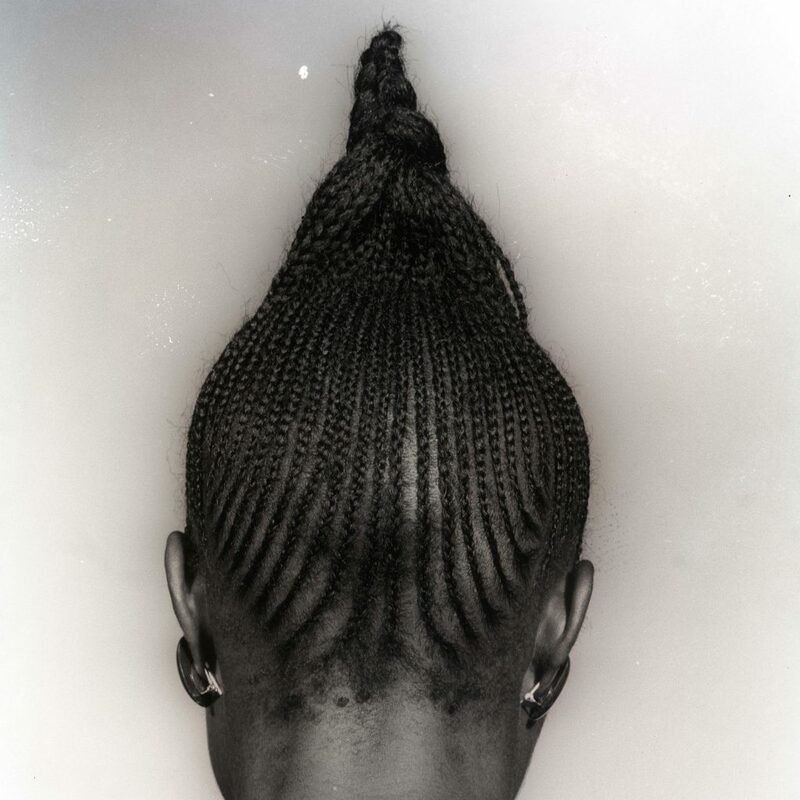 In the series of pictures by Leonce Raphael Agdojélou, Benim artist, this criticism is apparent. The pieces evoke a Code Noir, a decree by which the French colonies regulated slavery. 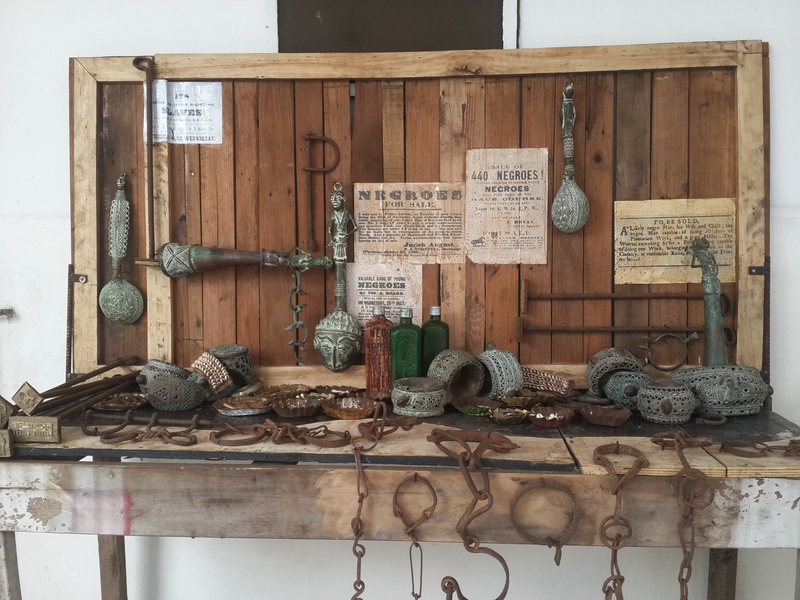 Another of the most striking pieces, seducing the regular public as well as the local media, it’s the installation ‘Non Orientable Paradise Lost’ of the Ghanaian artist Ibrahim Mahama, from Ghana. The installation is part of a big wall made with recycled material collected by people from the region where’s going to exhibit, who have financial problems and most of them work with their hands and strength to survive. The majority of the pieces were brought by people who live in the streets, in peripheral neighborhoods with limited resources and they are able to show it via the object. The piece expresses a relationship between those areas who see this two types of production as the only way to survive and are complemented by an interview aired on the channel Rede Minas. “I believe the body always leaves a memory or a trail in those objects. All the boxes, all the shoes, all the items are collected on the same place were the installation is being held. That’s important because, in some way, places mirror its means of production. Because in Ghana, I am aware of the objects I want to gather but when people relocates to another place, it has the opportunity of doing the same from a different perspective. To me those meanings of production are more important. So, producing here on Brazil, allows me to look at my own work and understand the process better, in a global way”, Rede Minas. El Drama Urbano follows a section explaining that transformation the continent has had in one of the more chaotic examples of urbanization, a product of the social, economic and architectural division. 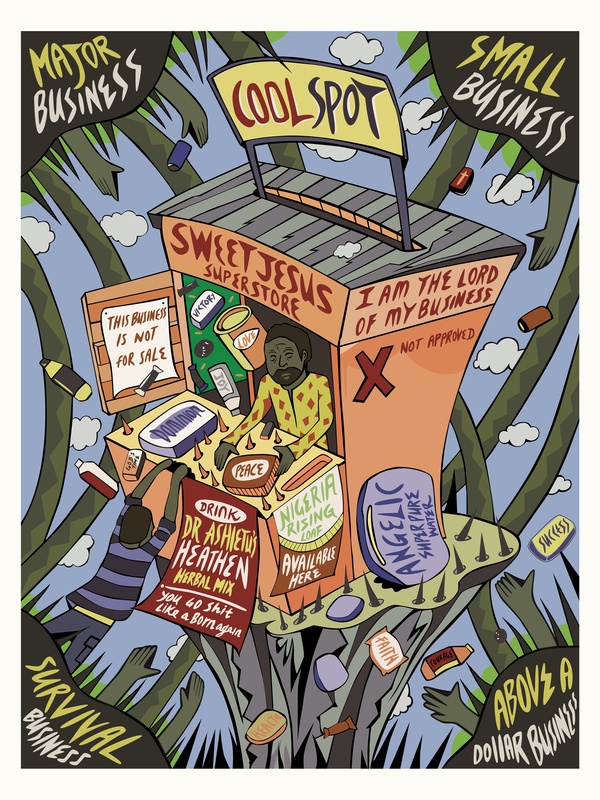 Lagos and Johannesburg is a faithful exhibit of the chaos presented, the districts and the overflowing growth of its population, projecting Lagos as one of the densest cities in the world, and the South Africa capital hopes to become a global power, being a model of alternative thinking. 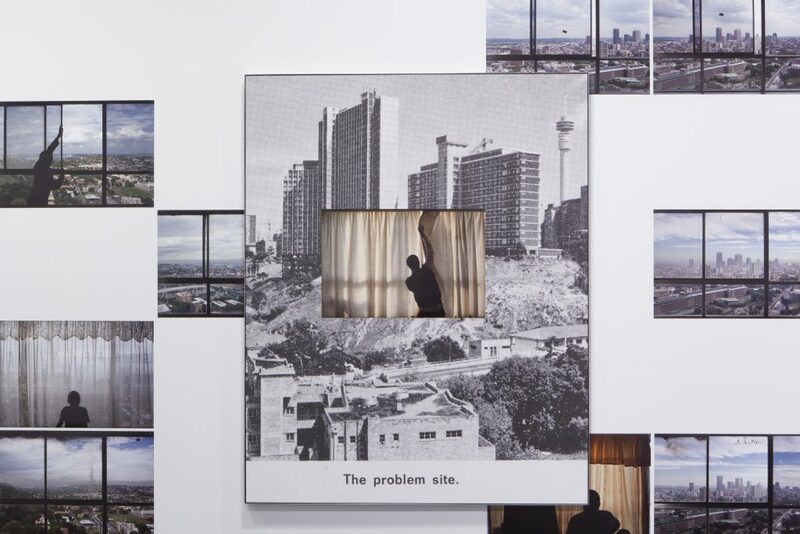 The Video installation of the South African Mikhael Subotsky titled ‘Ponte City’, shows twelve digital windows simulating the view of a building. In its landscape, there is a history of decadence and gentrification. Or the works of the Nigerian Kari Akpokiere who, with humorous designs of the life in Lagos, “presenting the difficulty of approval from other places, like Europe or North America, which is hard to achieve for many people” explains the curator of the exhibition. Another point coming together between artists of both continents, it’s in the aesthetic configuration of the body. The section titled Cuerpos y Retratos, gathers the works of artists who are reviewing the colonized and liberated body, derogatory and glorified. In this section, there are the self-portraits of Omar Victor Diop, from Senegal which “present African descendants who traveled to Europe in the 17th and 18th century, not as slaves but as musicians or philosophers, and were distinguished in the fields of science and arts” said Hugs. Outside of plastic arts, and as a complement of the importance of African tradition. It’s the section of ‘Explosiones Musicales’, made with collaboration with the Nigerian producer Bantú, to show the public of every city an African music selection, via tendencies adapted to delve in new languages which are around the world today. Also, there are additional activities such as the projection of the movie ‘Espectros de la diáspora’, from the audiovisual artist John Akomfrah and who uses an aesthetic sequence very similar to directors like Ron Fricke or Peter Joseph. Moreover, the theater play ‘Preto’ is also present, and a special edition of the musical project ‘Madrugada no Centro’.